Forex market is the most liquid capital market in the world with a trading volume of 5 trillion dollars per day. Forex market also opens 24 hours a day, 6 days a week, a factor that gives traders the flexibility to trade as much as they wish. However, if you want to trade on the forex market, then you need to find a regulated forex broker to not only handle your transactions but to also safeguard your hard earned money. One very crucial thing that most traders consider when choosing a forex broker is the regulatory status of the broker. Forex brokers who operate without regulation actually do so under their own discretion and pose a great risk to their clients’ money. Every country has its own forex regulatory body. However, the most recognized forex regulators include SEC and CFTC in the United States and FCA in the United Kingdom. If a forex broker claims to be regulated, then the name of the regulator should be listed on the forex broker website. 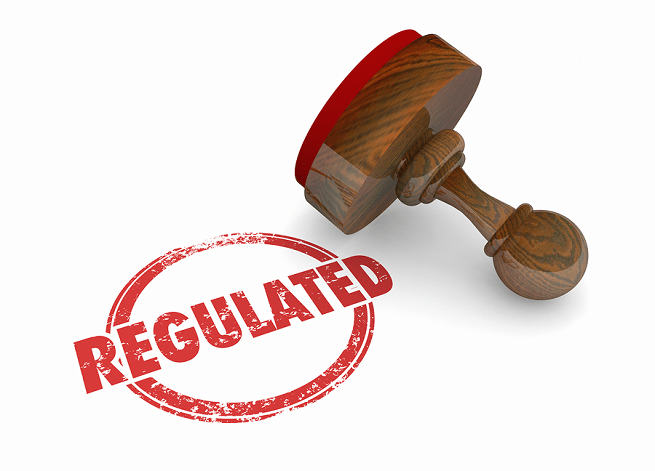 In this article, we are going to give you reasons why best forex brokers are regulated. Being regulated by relevant agencies adds credibly to best forex brokers. The fact that they are the best means that customers expect a lot from them. Remember that regulated brokers are required to submit a copy of their regular audit report to the regulatory body. They are also required to adhere to strict rules that have been put in place by the regulatory body. If a forex broker is on the regulatory body list, then it means that the broker has fully complied with all requirements that have been put in place. In the trader’s eye, such broker is trustworthy, reliable and credible. If a forex broker is regulated, then it means that traders don’t have to worry about losing their money just in case the brokerage firm goes out of business. One of the main reasons why best brokers are regulated is to give their esteemed clients a peace of mind and assurance that they will not lose their hard earned money regardless of what happens to the brokerage firm. Although being regulated does not guarantee the trader that the broker will treat him/her well, it assures them that their personal data and finances are in safe hands. Transparency is very important for businesses especially for those that hold with very sensitive information of their clients. In most cases, forex brokers that are not regulated usually hide something from their clients. Most traders who choose unregulated forex brokers usually end up getting scammed. The reason why the best brokerage firms get licensed is to prove to their clients that they are transparent and have absolutely nothing to hide. Forex brokers who are regulated usually follow the best practices and hence provide the most secure way to trade to their clients. Regulatory body not only monitors legal, security and transactions of forex brokers but they also check the financial instruments that brokers offer. For instance, the regulatory body can only allow certain types of instruments to be traded by brokerage firms. Therefore, if a forex barker is regulated, then it means that financial products that they offer have been approved. This means that you are more likely to get better service if the brokerage firm offers financial products that are in line with your trading strategy. In conclusion as a forex trader, you should always choose a forex broker who is regulated. This will not only guarantee the safety of your money but also guarantee the security of your personal data. Regulated brokers are trustworthy and reliable. You will not worry that you will wake up one day only to find out that the brokerage firm has closed. To ensure that you are actually choosing a regulated and reputable forex broker, take your time and check their broker’s website to see if they have indicated that they are regulated. Don’t stop there, go a step further to crosscheck if their membership is genuine and up to date before committing work with them.